At the beginning of 2018, the Toyota ShareLunker program debuted a new year-long season for anglers to enter their 8 pound and larger bass for prizes, recognition, and to help the Texas Parks and Wildlife Department promote and enhance bass fishing in Texas. On Dec. 31, staff wrapped up the first year of the revamped program with a total of 380 anglers entering 486 “lunker” bass from 89 lakes across the state. Anglers entered largemouth bass 8 pounds or larger into four categories in the Toyota ShareLunker program, including six “Legacy Class” bass 13 pounds or heavier that were entered during the spawning window Jan.1 through March 31 and loaned to TPWD for the selective breeding and stocking program. The total number of entries in other categories who provided citizen science data included: 5 “Lunker Legend” bass 13 pounds or heavier caught outside the Jan.1 through March 31 spawning window or not loaned for spawning, 107 “Lunker Elite” bass weighing 10 to 12.99 pounds, and 368 “Lunker” bass at least 24 inches or weighing between 8 and 9.99 pounds. The top five ShareLunker producing lakes in 2018 included Lake Fork near Quitman with 73 entries, Lake Conroe near Houston with 41 entries, Lake Athens in Athens with 28 entries, Sam Rayburn Reservoir near Jasper with 21 entries, and O.H. Ivie Lake near San Angelo with 17 entries. Lake Fork was also the top producer of 13 pound or larger “Legacy Class” bass last year with three entries, including a 13.06 pound bass caught March 11, a 13.00 pound bass caught March 8, and a 15.48 pound bass caught March 2. Other lakes producing 13 pound or larger “Legacy Class” bass last year included Sam Rayburn Reservoir, which produced a 13.06 pound bass March 31; Kurth Reservoir, which produced a 13.34 pound bass March 25; and Twin Buttes Reservoir, which produced a 13.40 pound bass March 14. 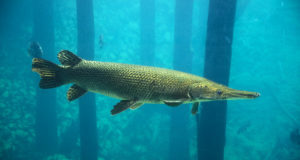 Last year, four of the ‘Legacy Class’ fish spawned successfully at the Texas Freshwater Fisheries Center in Athens and thousands of those Toyota ShareLunker offspring were stocked in Twin Buttes Reservoir, Sam Rayburn Reservoir, Kurth Reservoir, and Lake Fork. Because the Kurth Reservoir fish was a pure Florida largemouth bass, hatchery staff were able to retain 18,000 fingerlings for the state’s largemouth bass ShareLunker broodstock development. In return for loaning their fish to TPWD for selective breeding and stocking, anglers who enter “Legacy Class” Toyota ShareLunker bass over 13 pounds receive a catch kit, a 13lb+ Legacy decal, VIP access to awards programming at the Toyota Bassmaster Texas Fest, a replica of their fish, and an entry into both the “Legacy Class” and year-end ShareLunker Prize Drawing to win a $5,000 Bass Pro Shops shopping spree and an annual fishing license. The 2018 “Legacy Class” drawing winner was angler Michael Terrebonne of Cut Off, Louisiana, who caught ShareLunker 572 from Lake Fork March 8. Anglers who enter a Toyota ShareLunker in every other category through Dec. 31 also receive great prizes, including a catch kit filled with merchandise and a drawing entry for a year-end $5,000 Bass Pro Shops shopping spree and annual fishing license. The year-end $5,000 Bass Pro Shops shopping spree and annual fishing license winner for 2018 will be announced in a Facebook Live broadcast at noon on Jan. 11 on the Toyota ShareLunker Facebook page. With the 2019 season underway as of Jan. 1, anglers can enter their big bass catches in all categories on the Toyota ShareLunker app – available for free download from the Apple App Store and Google Play – or on the Toyota ShareLunker website, https://texassharelunker.com. 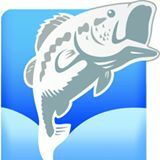 The mobile app and website entry forms also include simple instructions for anglers who would like to provide a sample of fish scales from their lunker bass to TPWD researchers for genetic analysis. Anglers who catch a 13 pound or larger “Legacy Class” bass through March 31 can enter by calling the program directly – any time of day – at (903) 681-0550. For updates on the Toyota ShareLunker program visit https://www.facebook.com/ShareLunkerprogram and https://texassharelunker.com/. Photos of the 2018 “Legacy Class” Toyota ShareLunker entries can be found on Flickr here: https://flic.kr/s/aHskPWX4hJ.